Some fish, like sharks, don’t posses an air bladder to help keep them afloat and must either swim continually or rest on the bottom. 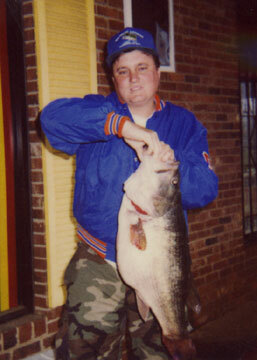 On March 29, 1991, William H. Wofford caught this 15 lbs, 14 oz largemouth bass on a private pond in North Carolina. Just look at that hoss!